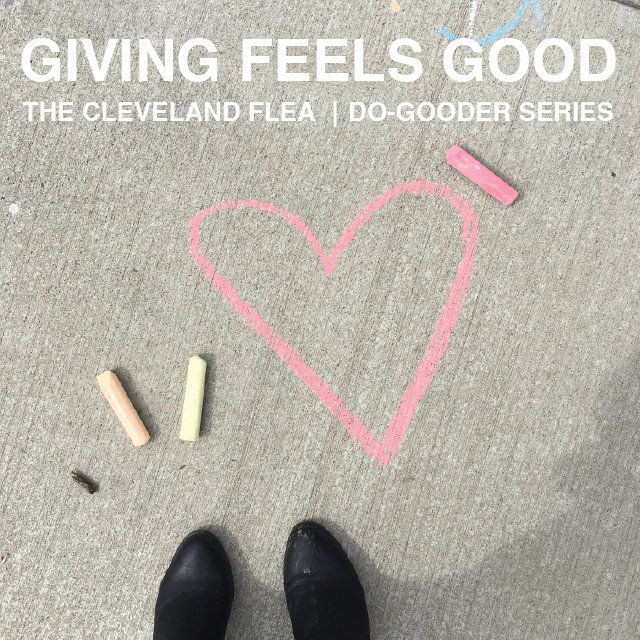 CLEVELAND FLEA: Who is Open Doors Academy? BS: It’s an out-of-school enrichment program that provides exposure opportunities to kids. Open Doors began as a drop in center at a church in 1992, St. Paul’s Church. People kept wondering what was going on, and interest began. We formally became a non-profit in 2002. CLEVELAND FLEA: What’s the significance of the name, ‘Open Doors Academy’? BS: It’s opening doors and giving opportunities these kids just wouldn’t have access to without us. We provide personal mentors, and open the world to them. CF: What’s your role at Open Doors Academy? BS: I am the high school education director. I manage and oversee the three high school campuses that we have. Cleveland Central Catholic, Euclid High School and Cleveland Heights High School. I oversee all of our daily programming after school. It’s all sorts of stuff, but includes academic support with tutors for homework or subject matters, social awareness matters that are affecting local youth, service learning activities within the community. These programs can prepare them for the workforce and college, while also providing them a safe and enriching environment in the hours after school and before parents or guardians get home. Between the hours of 3-6 there aren’t many places that can provide students with academic and mentoring support. There’s a real need for this. CF: What would you like people to know about Open Doors Academy that they might not? BS: We’re in the area, located at Tyler Village just above Flea Headquarters! We are growing and if there’s a need for it in your community, we’d love to explore the potential opportunity to work with you. We want every school that needs our services to have them. Also, most people don’t realize we take kids on a service trip to Honduras. There are 15 kids going. We will work in different villages providing educational experiences with the youth in school. For the younger kids, we’ll conduct art activities and for the older kids we’ll focus on math, flash cards or language skills. CF: So, why do you think this is important to the youth in your program? BS: Most of our participants are low income urban youth that haven’t had a chance to see outside their own daily experience. We think that is fundamentally life changing for anyone to get out and see how the rest of the world lives. BS: The students enrich my life as much as I do theirs. It’s really an amazing experience to be providing youth with guidance and experience that can help them head out in the world and do that for someone else. CF: Can you share a moment that really had an impact on you? BS: Last week- one of my students graduated at Maple Heights High School. To see her persevere and head off to college, knowing her struggles, was so amazing. SHARE + SUPPORT: like their page to show your support!